Discover the exciting stories of good versus evil in a universe of heroes, villains, and aliens. 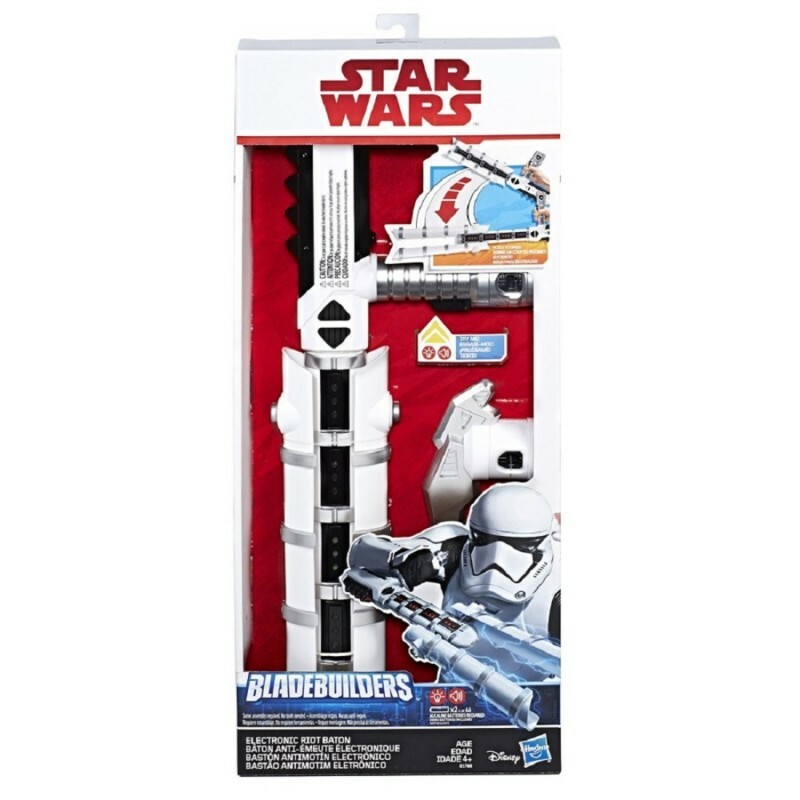 Imagine joining the Jedi Order as a protector of peace and justice in the Galactic Republic with this Star Wars Bladebuilders Electronic Riot Baton, inspired by the upcoming Star Wars: The Last Jedi movie! Imagine defending the Empire as a Stormtrooper with this Electronic Riot Baton from Star Wars Bladebuilders! The Electronic Riot Baton features sound effects and a flip-out mechanism that extends the weapon and lets kids imagine Stormtroopers striking down any enemy threat! Attach the included attack claw for more battling options or combine with Bladebuilders lightsabers to create a customized weapon! (Each sold separately). • Includes baton, attachment, and instructions.